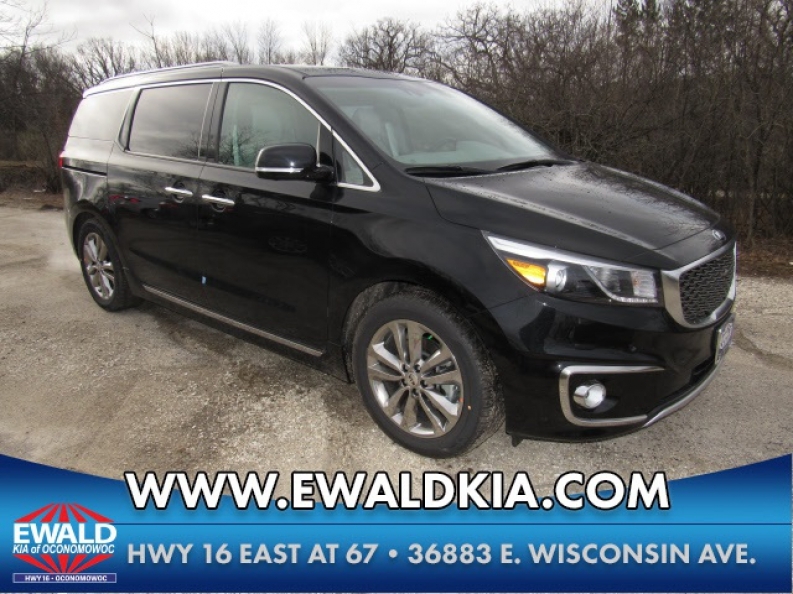 If you are looking around for the best type of new van or minivan to buy, then Ewald Kia, here in Oconomowoc WI, will be the last stop you need to take on your shopping trip! You simply can't beat a new Kia minivan, and here with Ewald Kia we have plenty of minivans for sale, all of which are the best, top quality new Kias that you can find! We have the absolute best new Kia minivans for sale, like this all new 2016 Kia Sedona SX-L for sale right here in Oconomowoc Wisconsin. Equipped on this minivan for sale is a powerful 3.3L GDI V6 Lambda II Engine that will push out an astounding 276 horse power at 6000 rpm, which will have you and your family zooming around town and reaching your destinations in no time flat! Come and see this minivan for sale for yourself! But this new minivan for sale in Oconomowoc Wisconsin has even more to offer than just a great engine that puts out a lot of speed. Also equipped on this new Kia is a very nice 6-Speed Automatic with Sportmatic and included H-Matic, which assists this minivan for sale in achieving 17 City mpg and 22 Highway mpg, which is pretty good for a minivan! Also installed on this new Kia minivan for sale is Front-Wheel Drive, which is made even better by its Electric Power-Assist Speed-Sensing Steering that will give you extremely precise steering capabilities. 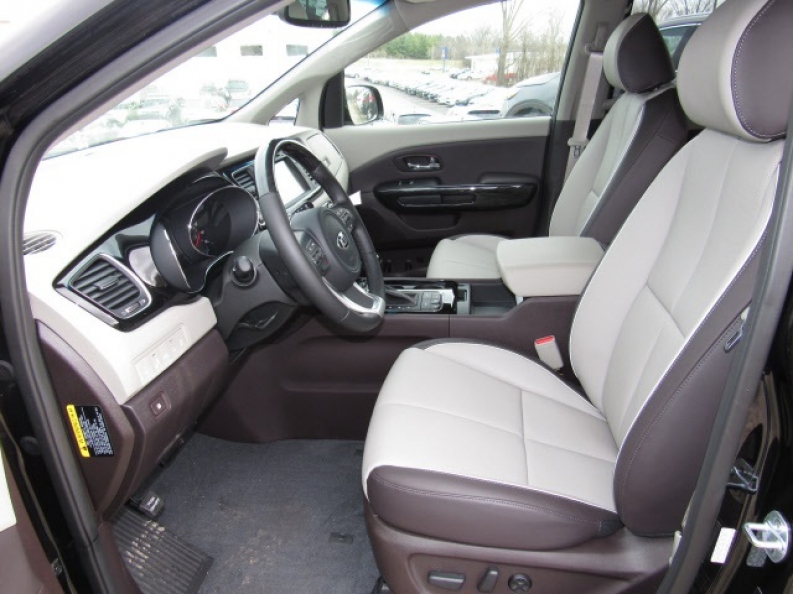 This new Kia Sedona SX-L has a lot more to show you, so come in to Ewald Kia, located at 36883 E Wisconsin Ave Oconomowoc, WI 53066, and take this new Kia minivan for sale out for a test drive today!